In separate vessels, temper the chocolates. Add TABASCO® Chipotle Spray Dry Flavoring to the dark chocolate. Agitate until fully incorporated while maintaining temper. Remove the chocolates from warming vessels. Pour out seasoned dark chocolate onto a prepared pan. Stripe the top of the dark chocolate with the white chocolate. 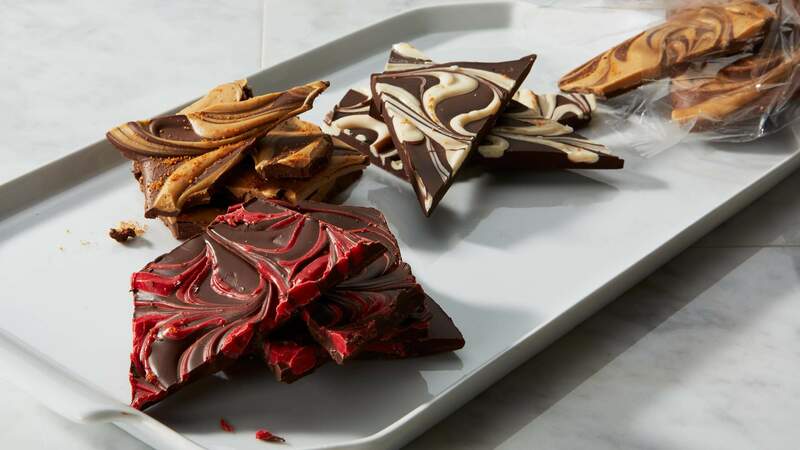 Drag the white chocolate through the dark chocolate to create a random, marbled pattern.